Most living Americans think that an income tax has always been there... but no. 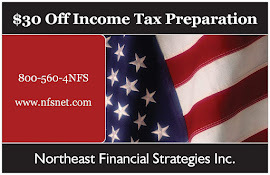 In 1913, the U.S. Congress passed the first permanent income tax. Most living Americans think that an income tax has always been there... but no. In 1913, the U.S. Congress passed the first permanent income tax. Before 1913, federal taxes were enacted, when necessary, for wars or other national needs. The first known taxes date back to ancient Egypt when grain, livestock or oils were used instead of money to pay what was owed to the government. Even then, the surviving hieroglyphic tablets record how people complained about high taxes. Some things never change. February 3, 2013 is the 100th birthday of the 16th Amendment, which is the recognized birth of U.S. Federal Income Tax. The history of the 16th Amendment actually dates back to 1861 during the civil war, when Congress passed the Revenue act of 1861. This act included a 3 percent tax on personal incomes over $800 to help pay war expenses. Ten years later, in 1872, this act was repealed. The idea stuck around though, and in 1894 Congress enacted a 4 percent tax on income over $4,000. The U.S. Supreme Court immediately struck this down in a 5-4 decision. 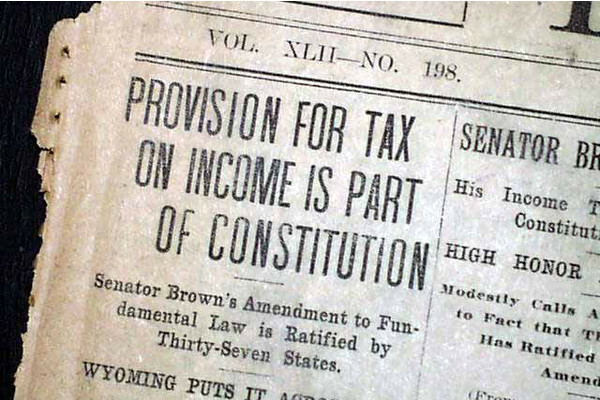 In 1909, Congress tried again with the idea of an income tax. This time, however, it stuck, and on February 3, 1913 the 16th Amendment was ratified stating, "The Congress shall have power to lay and collect taxes on incomes, from whatever source derived, without apportionment among the several States, and without regard to any census or enumeration." 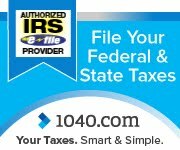 In 1913 the first Form 1040 was documented. Congress placed a 1 percent tax on net personal income over $3,000, with an additional tax on those who had net income in excess of $20,000 of between 1 and 6 percent, depending upon income. The first year no taxes were collected; the IRS only checked the forms for accuracy. During World War I the income tax rose to its highest point at 77 percent to help finance the war. Improvements to the system were made during World War II when Congress introduced payroll withholding and quarterly tax payments. The Alternative Minimum Tax (AMT) was later enacted in 1969. When the 16th Amendment was first enacted, the deadline was March 1, but even that first tax day deadline was extended because it fell on a Sunday. In 1918 the official filing deadline was changed to March 15. In 1955, the date was change to the familiarly April 15. Today, the IRS collects more than $1.2 billion in taxes and processes more than 133 million returns annually. And of course, people still complain about high taxes.